The good manufacturing practice (GMP) Inspectorate performs a varied role in ensuring both medicines and bloods are available and are of the right quality using a risk-based inspection programme. A programme for the inspection of manufacturer and wholesale dealer licence holders in the UK has been in place since the Medicines Inspectorate was established within the medicines division of the Department of Health and Social Security (DHSS) in 1971. GMP Inspectors have long been recognised for their work to reduce risk and improve the quality of medicines for patients, but what is probably not so well known is the role the GMP Inspectorate plays in the authorisation and inspection of UK blood establishments and blood banks. The Secretary of State for health is responsible for the authorisation and inspection of blood establishments and for monitoring compliance of hospital blood banks. The responsibility for performing these functions has been delegated to MHRA. 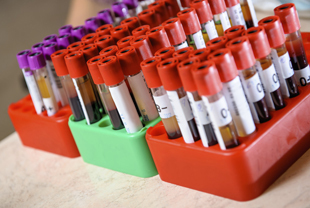 What this means in practice is that blood establishments are subject to routine inspection by the GMP Inspectorate to confirm continued support of the licence and hospital blood bank compliance with good practice is assessed via an annual report completed by the hospital blood bank and assessed by the GMP Inspectorate. For blood safety, serious adverse events (SAEs) and serious adverse reactions (SARs) are reported to MHRA through the serious adverse blood reactions and events (SABRE) reporting system. The blood safety information is analysed by the haemovigilance team and information shared with the GMP Inspectorate. 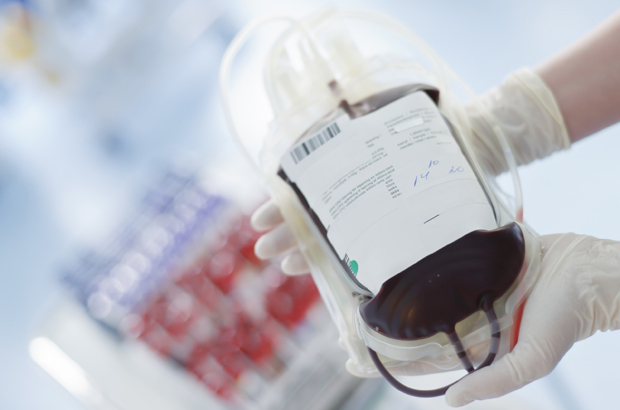 MHRA has a legal obligation under the Blood Safety and Quality Regulations to ensure compliance with the principles of good practice at approx. 310 Hospital Blood Banks (HBBs) operating throughout the UK. Although there are no legal vires to implement a routine inspection programme, the competent authority has powers to inspect ‘for cause’ to ensure compliance with the requirements of the regulations (regulation 10(5)). Since the regulations came into force in 2005, compliance has been assessed via the annual submission of a blood compliance report (BCR). This enables identification of compliance risk indicators and assigns a risk score, which is used by the GMP Inspectorate to trigger ‘for cause’ inspections of the relevant HBBs. The BCR template has been developed from a paper-based submission to a semi-automated excel spreadsheet format. This has an embedded algorithm able to automatically assign risk scores to numerical and menu-driven responses, verify completion of all mandatory questions and present text-based information in summary format for manual assessment, so that an overall risk score for the HBB can be calculated. A team of GMP inspectors review automated BCR risk scores and wider intelligence such as compliance history, and SABRE reports to identify triggers for inspection. A key aim of the MHRA’s business plan is to expect greater efficiency in the delivery of medicines regulation. With efficiency and proportionate regulation in mind, the GMP Inspectorate completed a review of BCR risk scores and triggered inspection outcomes from 2010 to 2014. Excluding critical deficiencies from re-inspections linked to previous compliance cases, data from HBB inspections triggered by the BCR assessment process shows improvement in compliance. The number of critical and major deficiencies reported per inspection has reduced over this time. There have also been no new Compliance Management Team or Inspection Action Group cases relating to UK HBBs as a result of the ‘high risk’ BCR-triggered inspections performed in the past 12 months. With the exception of re-inspections linked to previous compliance cases, all inspection findings have been managed through the routine inspection process without the need to consider regulatory or compliance action. Further improvements in the BCR assessment process were implemented in 2015 as a direct result of the sector’s improvement in compliance. The number of questions in the BCR was reduced, saving time for the HBB completing the report and GMP Inspector assessing the information. Due to the reduction in the number of critical inspection deficiencies, compliance management and regulatory action cases, the number of inspections triggered ‘for cause’ as a direct result of the BCR assessment process has also been reduced. The GMP Inspectorate is further developing the risk-based inspection approach to react to risk factors identified throughout the year and maintain our commitment to proportionate regulation. Examples of non-BCR inspection triggers under consideration include notifications of significant site change and adverse SABRE reporting trends. Control inspections will also be performed to monitor the performance of the revised approach to BCR assessment and inspection scheduling.